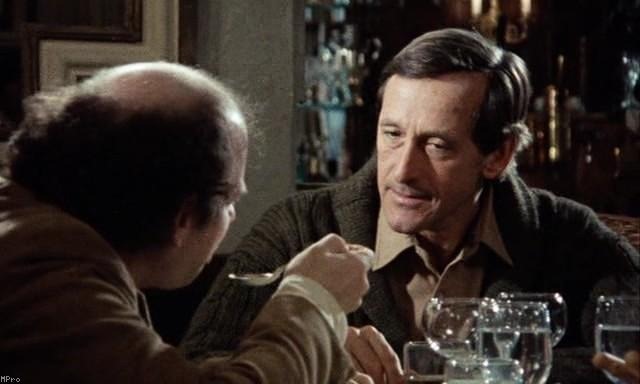 The Louis Malle-Wallace Shawn-Andre Gregory film My Dinner with Andre was released almost exactly 30 years ago today: its nationwide release was on January 20, 2012. Someone asked me the other day if I could name a movie that was entirely devoid of clichés. I thought for a moment, and then answered, My Dinner With Andre. Now I have seen the movie again; a restored print is going into release around the country, and I am impressed once more by how wonderfully odd this movie is, how there is nothing else like it. It should be unwatchable, and yet those who love it return time and again, enchanted. I got particularly fascinated with Andre after My Dinner with Andre because of that question of authenticity. You know, the central conceit of My Dinner with Andre is that this very successful theater director drops out of life and goes on a quest to discover who he really is and how to live authentically, and in the process, you know, studies with this famous, mysterious, Polish figure, director, Jerzy Grotowski, in a Polish forest and has these amazing experiences. And I think that – well, I don’t think. I know that watching that movie gave me a fascination for the figure of Grotowski. And I began to study Grotowski in college, you know, writing research papers about him and trying to understand what it was that he was getting at. And as I understand it – or as I understood it before going to work with him – it had to do with the search for how to be true. It’s a question that actors have to ask on stage. You have to feel real in order to convince anybody else that you’re real. My Dinner with Andre is ultimately a film about ideas. Hollywood doesn’t usually do so well with films about ideas; complicated theories simply do not translate well to the film. However, there are exceptions, such as Bennett Miller-Brad Bitt-Jonah Hill film Moneyball. Moneyball dramatizes sabermetrics, and is as close as anyone has gotten to making a film illustrating the theories of Bill James. 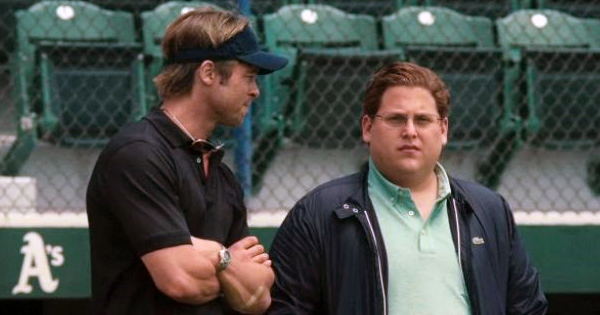 It might have seemed inconceivable before the film that one could make a compelling movie about statistical theories in baseball, but Moneyball manages to achieve that. Plato’s writings are generally set in the form of a dialogue or script. We tend to downplay that aspect of their writings even though the dramatic form is often essential to understanding and appreciating them (e.g., The Symposium). 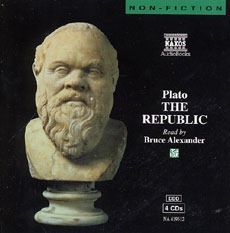 I once gave a good friend of mine heading off on a road trip a CD copy of Bruce Alexander’s abridged reading of Thomas Griffth’s translation of Plato’s Republic. He looked at me like I was crazy, but I urged it on him, and he listened to it. When I next saw him, he was fulsome in praise for CDs – he had not expected them to be so entertaining. Most Americans are aware at some level that we should all read the 1858 Douglas-Lincoln debates; but I think that few of us actually do. Amazingly, the BBC has seen an opportunity here and released a recording of the complete debates (featuring Richard Dreyfuss and David Straithairn). Not only do they make a credible job of the likely accents and cadences of Douglas and Lincoln, but the recording is actually gripping. 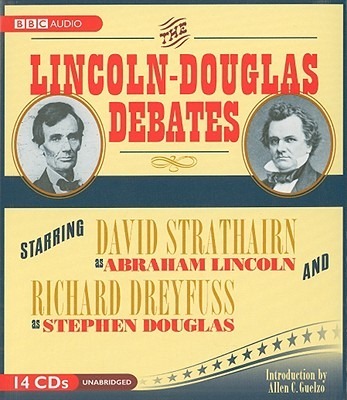 Exactly because Douglas and Lincoln were engaged in passionate back and forth over the course of their debates makes them ripe subjects for presentation in audio format. For fans of Louis Malle, Wallace Shawn, Andre Gregory: I should mention that the other film they collaborated on, Vanya on 42nd Street, is coming out in a Criterion Collection edition on DVD and Blu-ray next month. That would be Malle’s last film.